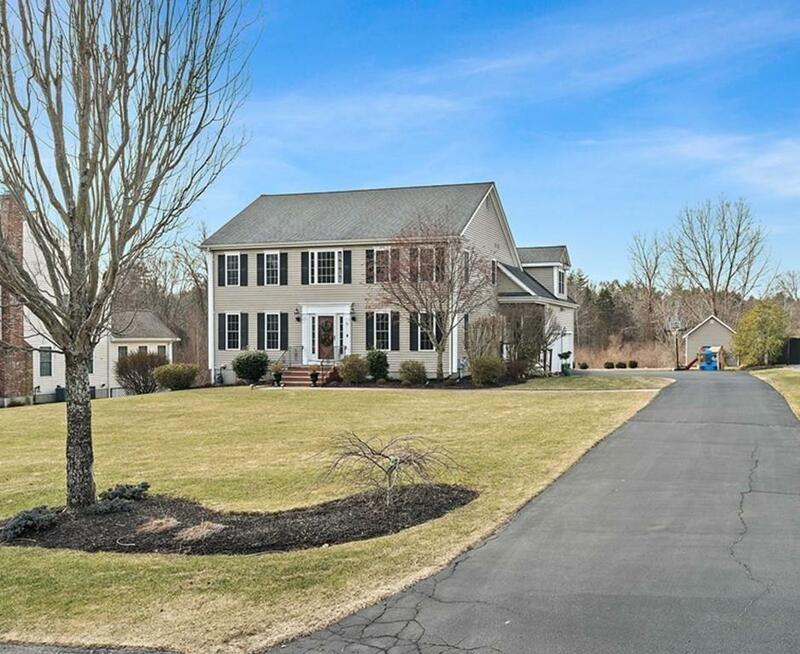 Welcome to 75 Riverside Drive located in the sought after Wampanoag Estates. 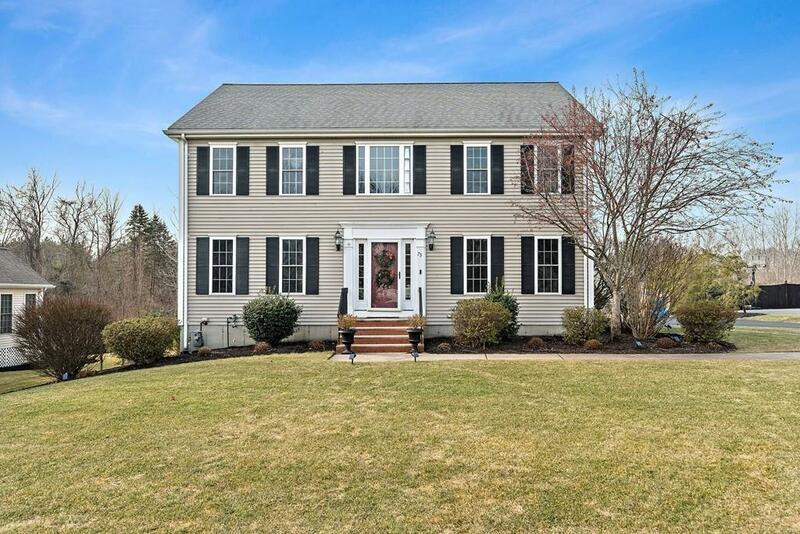 This turn key center entrance colonial home will impress even the most discerning buyers. Gleaming hardwood floors throughout, 2 story open foyer with hardwood Staircase, 4 generous size bedrooms complete with renovated bathrooms. 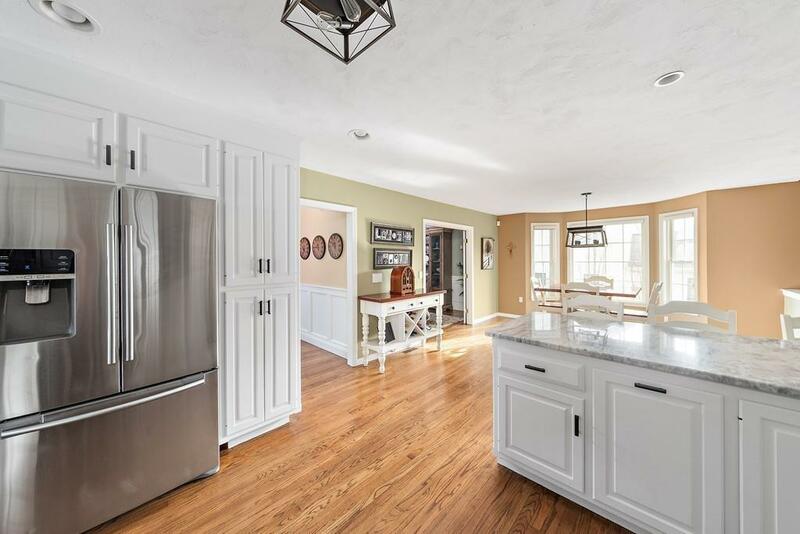 Dining room with french doors open to the spacious sun drenched newly renovated kitchen, granite and ss appliances. Large family room, cathedral ceiling, and warm inviting fireplace. 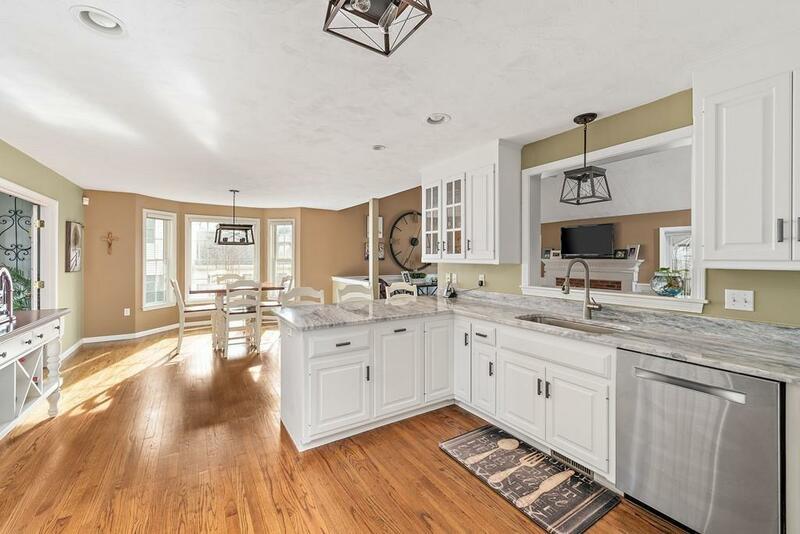 Family room features sliders which open to screened porch overlooking a breathtaking beautiful flat landscaped yard with custom stoned fire pit and patio views of protected conservation land and stunning sunsets. Perfect for entertaining! Walk out basement, security system, and sprinklers!! Solar panels are leased and will transfer ownership with sale. (ask agent for details). Great location convenient to all schools, major highways and shopping centers. A commuters dream! Listing courtesy of Suzanne Peterson of Re/Max Real Estate Center. Disclosures Seller Will Consider Offers Between 699000 And 715000. Listing provided courtesy of Suzanne Peterson of Re/Max Real Estate Center.